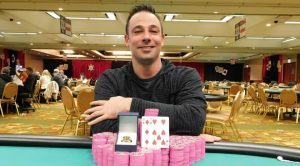 Day 2 of the 2018/19 WSOP Circuit Potawatomi $1,700 Main Event was brought to an end several hours ago, with Michael Hudson leading the last remaining nine players who are to return and try to win the title. The Main Event of the WSOP Circuit Potawatomi stop started with 97 players out of the starting player field of 667 entries, who accounted for a total prize pool estimated to $1,010,505. Ten levels of play later, there were only nine competitors remaining in their quest to lay hands on the Circuit gold ring, the $207,159 first-place cash prize and the tournament’s title, along with a guaranteed seat into the season-ending 2019 Global Casino Championship. 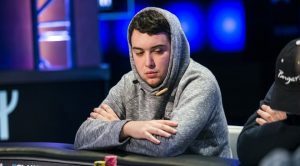 Now, Michael Hudson is to enter the competition on the third day of the Potawatomi Main Event with a sizeable chip lead, holding almost 40% of the overall chips at the final table. 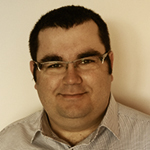 He managed to build his strong lead after being on the winning end of a number of key hands during Day 2 action, two of which were against the gold ring-winner Kevin Saul, who was also leading the pack at the time. Michael Hudson is to start Day 3 of the Potawatomi Main Event with 7,850,000 in chips, followed by Hank Sitton with a chip stack of 2,870,000 and Brett Apter, who got his first gold ring earlier in the series, with 2,195,000 in chips. Cards will be back in the air later today. 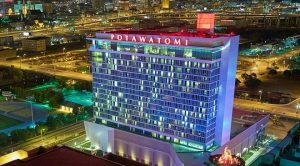 The 2018/19 WSOP Circuit Potawatomi $1,700 Main Event started on February 8th as a three-day event, offering two starting flights. As mentioned above, an overall player field of 667 entries was gathered over the two Day 1s, with players generating a prize pool of $1,010,505. It took them nearly 16 levels of action to reduce the number of contestants to 97 and see them return for the second day of the $1,700 Main Event. 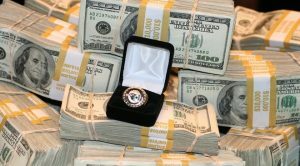 Of those 97, only 72 players will finish in the money, with the minimum cash prize set at $2,829, and the first-place prize amounting to $207,159. Damjan Radanov, who entered Day 2 as a chip leader, is also to proceed to the last day of the Main Event, with him being in the middle of the pack for now, with 1,355,000 in chips. 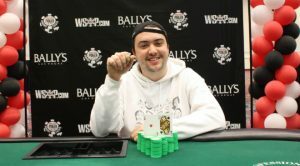 A number of WSOP Circuit gold ring winners are among the nine who are to return on Day 3, including Josh Turner who already has seven Circuit rings, the two-time ring winner Cody Brinn, as well as Kevin Saul and Brett Apter both of whom are in a hunt for their second rings. At the same time, the 2018/19 WSOP Circuit is at full swing at its Seminole Coconut Creek stop in Florida, with three events already brought to an end in another one currently in progress.